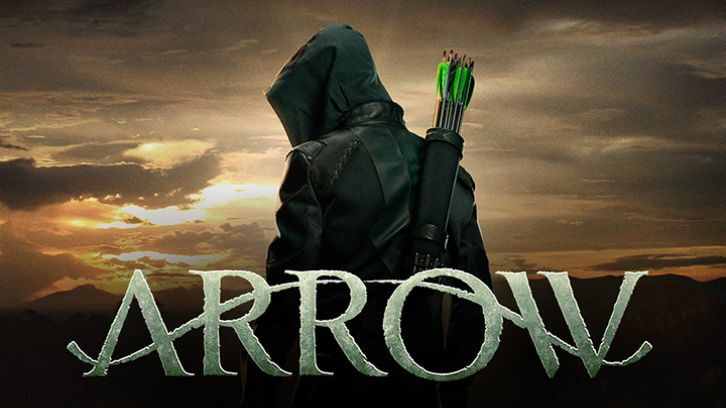 Arrow “Inheritance” was written by the team of Sarah Tarkoff and Elizabeth Kim and was directed by Patia Prouty, who is better known for costume designing and wardrobe and whose only other directed credit is Banshee Origins. Sadly, once again, this episode failed to deliver anything new. The same old tired storylines were trotted out. This might not be so bad if they were actually hiring decent actors, but Sea Shimooka as Emiko was barely watchable – except in the fight scenes…. But that would have been mostly a stunt double – and the stunt team, at least, continues to deliver. I’ll at least start with the few things that I did like about this episode. 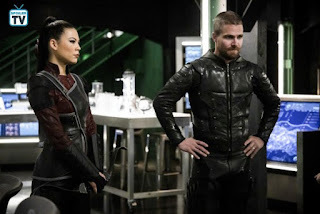 The first scene with Emiko training with Oliver (Stephen Amell) was nicely shot – some nice crane shots in particular – and nicely choreographed. While it was a bit on the nose, I did appreciate Prouty’s parallel shots of young Emiko (Miya Cech) with her backpack and grown Emiko with hers. I was happy to see Kacey Rohl back as Alena, and in at least a semi-permanent role as Felicity (Emily Bett Rickards) hires her to be CEO of Smoak Technologies. What happened to HELIX though? 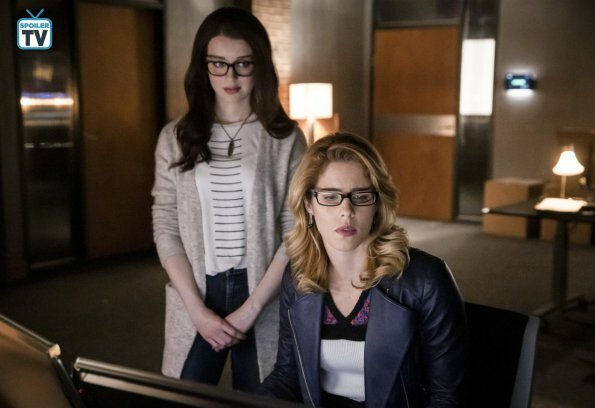 Whatever – the only continuity with this show seems to be incontinuity… I did love that we are introduced to Archer the DNA surveillance technology that Felicity has invented and that Felicity is excited about all the uses that it can be put to, such as crowd control, tracking terrorists, and finding missing persons! I like that she sees more positive real-world applications for it – even if it is creepily invasive. 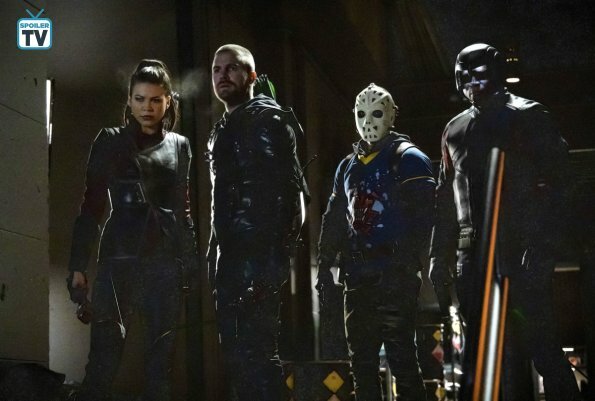 I loved seeing the team of Diggle (David Ramsey), Oliver, Felicity, and Rene (Rick Gonzalez) back in the lair. I also loved that Dinah (Juliana Harkavy) wasn’t there. I also loved the Diggle/Oliver pep talk that felt like old times. 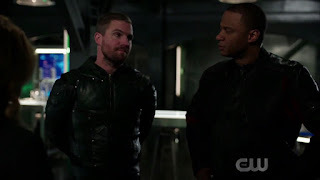 It was nice to see Diggle acknowledge what an idiot he’d been with Andy. Actually, Diggle, I think I’ll give you a by for that due to the writers writing you completely out of character! 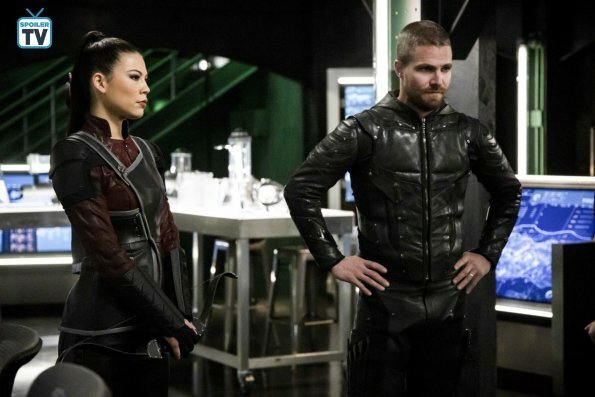 I even liked the Oliver/Emiko fight in the lair – right up until her pretentious hair flip at the end of it. Ugh! The drones at the end were fun. But if Felicity could hack them enough to de-cloak them so that Oliver could shoot them – all but one anyway – why couldn’t she just take complete control of them? Stupid… Diggle letting Dante (Adrian Paul) get away was just lame. I also liked that Laurel (Katie Cassidy Rodgers) came to see Felicity but didn’t shy away from telling Oliver the truth. 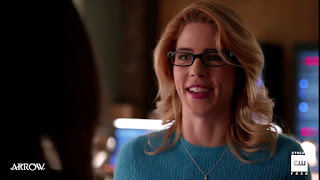 I also liked that Felicity later stood up for Laurel with the others. 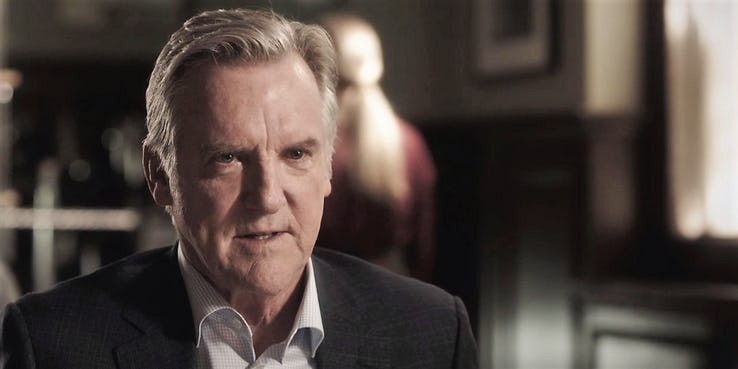 Once again, I feel badly for Katie Cassidy Rodgers as the writers play ping pong with her character – is she good, is she bad? In the end, of course, she’s going to be driven back to being bad by Emiko and Dinah – and really, Dinah? If anyone is responsible for your boyfriend’s death, it’s you! Was anyone surprised when Emiko turned out to be evil? When she turned out to be the one running the Ninth Circle? When she turned out to be the one who blew up the Queen’s Gambit?? Was anyone surprised that Robert (Jaimey Sheridan) was a crap father to her too? And shouldn’t Emiko suddenly having such a nice new outfit have tipped us off to her belonging to some other group? While there were some good moments, the overall plot of this episode just fell short. I’m super sad about the announcement from Emily Bett Rickards that she is done with the show at the end of this season. She is consistently one of the few good things on the show. Let’s hope that she simply goes into hiding to have Mia as was shown in the flash forward. It would seem that she and Oliver were still on good terms at that time anyway. If they once more go to the well of them breaking up over lies or some other crap…. Just. No. What did you think of the episode? Rickards announcement? Let me know your thoughts in the comments below!